Having been involved for almost a decade with websites that review and recommend merchant services, we have consistently found that the biggest challenge is locating responsible providers for businesses that operate in ‘high risk’ niches. There are certain industries that sell products or services that result in abnormally high levels of customer complaints, chargebacks and even fraud. The risk level associated with providing credit card processing services to such industries requires that the processor exact higher fees form the merchants, and, at times, reserves. Other factors that might cause a business to be classified as high risk include high monthly sales, high average ticket size, and offshore operations. Generally, if one’s business is in the high risk category, it will be harder to locate a merchant account provider, and take longer to get approved (if at all). And approvals often are accompanied by high discount rates and other fees, and other terms that are more onerous that most other businesses are saddled with. 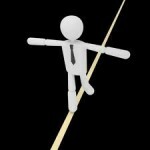 So what should a business owner in a high risk niche do? For the past year or so, MPC Merchant Processing Company has been heavily involved in testing a variety of high risk processing companies, to determine their level of success in getting high risk merchants approved. They have looked at approval times and rates, fees charged, client service levels, etc. Through their testing, MPC has now established relationships with a number of reliable high risk providers around the globe, providers who have higher than average approval rates along with competitive fees and terms. With that in mind, we have no hesitation in recommending MPC to any business that is seeking a merchant account for its ‘high risk’ operations, whether located in the U.S. or abroad. We suggest you simply apply at MPC's website, and they will help you locate the best high risk merchant account provider for your business.